OK, so it’s not factually true but, as race fans, we’ve always liked the old saying that the first automobile race occurred a few minutes after the second automobile was built. It sums up our deep-rooted need for speed. It’s why racetracks get more visitors than car museums and why racecar drivers become our heroes. We want to see racing, passing and uncertainty. In short, we want competition. That’s why we were thrilled by this year’s Indianapolis 500, which set a record for passes for the lead and wasn’t a done deal in Dario Franchitti’s favor until the final lap. Few would deny that the Scott is right up there with the Brickyard’s greatest drivers, but it’s a comparison he himself shies away from. Given the quality of the opposition that he beat for the third time in six years at the Speedway, he’s selling himself short. As one of Chip Ganassi Racing’s drivers, Franchitti frequently finds himself battling with drivers from Roger Penske’s legendary race team. 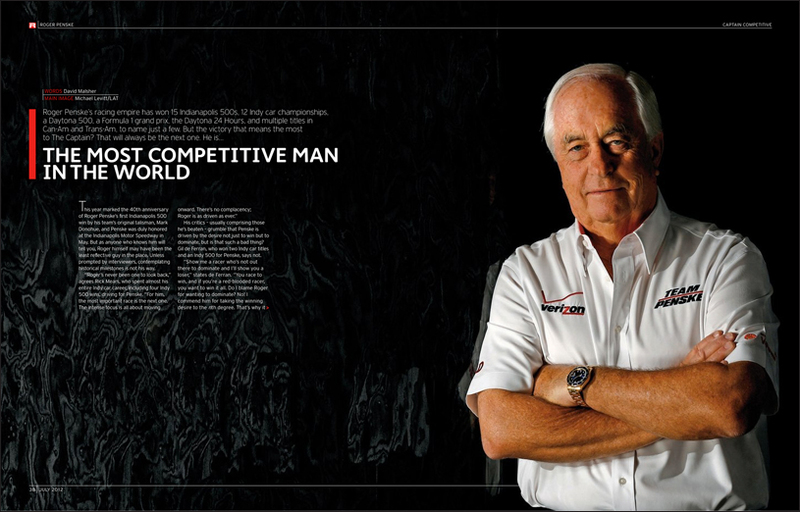 For the past three decades, The Captain has defi ned competition, and competitiveness, in U.S. motorsports, so we savored the chance to talk to him about just some of his achievements and hopes for the future. The IZOD IndyCar Series, of course, provides a high-profile example of spec-chassis competition, and Andretti Autosport’s No. 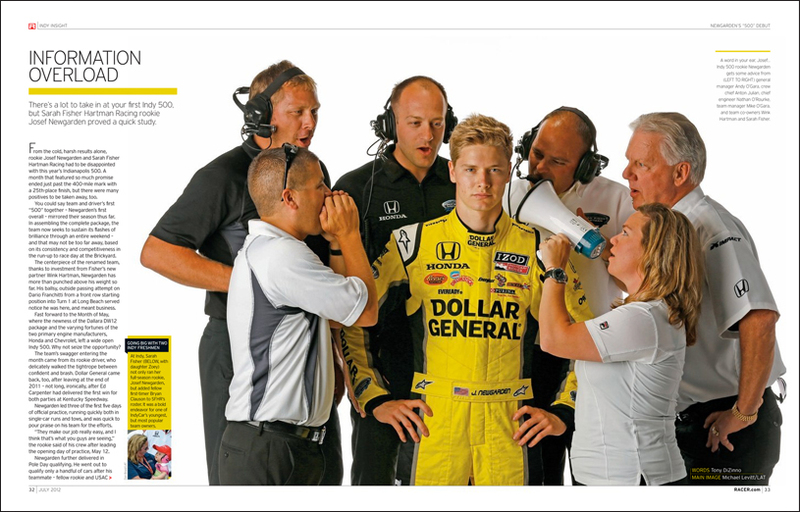 28 Dallara-Chevrolet, as driven by Ryan Hunter-Reay, is the subject of our In Focus this month. 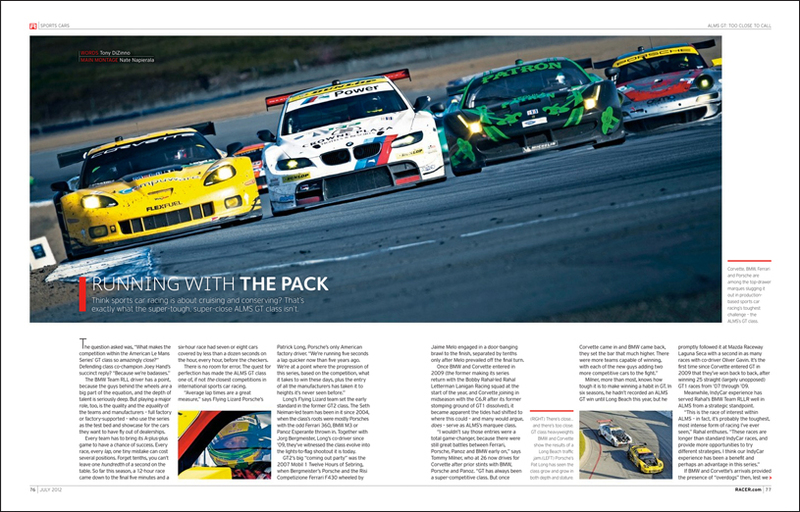 Inevitably, the phrase “spec racing” triggers debates about whether that’s the best way to manage competition in economically straitened times. So which series has got the balance right? Eminently debatable. And which were the most competitive races in history? Read on… and see if you can discover a common thread. We can’t! Less debatable is that the greatest active drivers in NHRA are Funny Car legend John Force and Top Fuel superstar Tony Schumacher. Getting them together to discuss their competitive natures was as entertaining as it was enlightening.